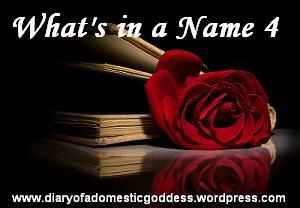 The What’s in a Name? reading challenge originated with a young blogger named Annie, who hosted it for two years. The host of What’s in a Name 4 in 2011 is Beth Fish. Follow the LINK to sign up for the challenge. As rather a last-minute thing (as I only discovered it half-way through the month) I have decided to take part in the 2011 Spooktacular October Paranormal Reading Challenge as I adore both paranormal fiction and October (hello, Hallowe’en anyone?!). Join me and the other fang-tastic fans of all things freakish, ghostly and spine-tinglingly chilling as we embark on our adventure into the dark unknown…! You can see all the reviews for these books HERE.